We have all seen and heard the advertisements to clean, tone, exfoliate and protect your skin. Cosmeceuticals or medical grade skincare allow for all of these functions with a higher percentage of active ingredients than over-the-counter medications to more effectively treat specific skin conditions. 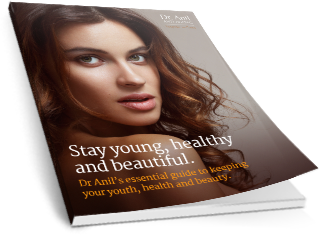 DR. Anil offers anti aging skincare solutions for patients. Many patients suffering from aging skin respond well to these specialized skincare products and are very effective when used in combination with other treatment regimens. Cosmeceuticals are cosmetic products that have pharmaceutical type benefits. Cosmeceutical products contain bioactive ingredients including: vitamins, enzymes, antioxidants, peptides,ceramides, minerals, herbs and essential oils. They are intended to enhance the health and beauty of the skin by altering its structure. These prescription only skin care products go beyond colouring and adorning the skin, they improve the functioning of the skin, encourage collagen growth and make the skin healthier. Cosmeceuticals contain key active ingredients that help prevent and diminish the signs of premature aging, wrinkles, fine lines, and age spots. These same ingredients may be found in small amounts in various cosmetics but cosmeceuticals contain larger percentages of these ingredients, boosting their ability to effect real changes in the skin. The science behind the actual ingredients is what makes for a better treatment and many medical conditions such as pigmentation issues can be resolved as well as preventing or perhaps reversing the effects of aging. Dr. Anil has selected only the most evidence-based skin care ranges to help transform your skin and make it healthier and looking its best. Find out for yourself why these unique skin care line will make you look younger, healthier, glowing and renewed. To find out more about how the Nu-Derm System can help you, call Dr. Anil on 0208 742 2204 and book a consultation for a skin assessment. 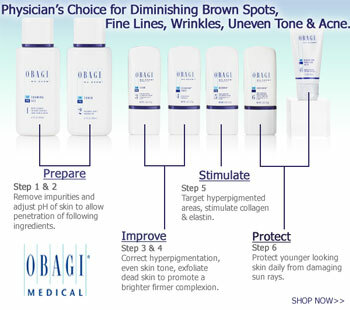 D. Zein Obagi has been known as one of the world’s experts in skincare technology, and developments therein, for well over three decades. He has defined the concepts of skin health, developing a massive range of iconic products proven to improve skin health in a measurable way. 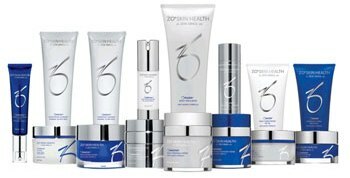 In his practice, Dr. Anil has found that ZO® Skin Health products will make skin strong, healthy and keep it looking and acting younger. ZO® Medical solutions are exclusively available through Dr.Anil. ZO® Medical Solutions have been optimized to treat a wide range of skin disorders and chronic conditions. The concentration of ingredients means the use and treatment programs should be overseen by a medical skincare professional. These products and protocols – including physician-directed clinical services, treatments and regimens – help physicians and skin care professionals correct problems for all skin types, genders and ages. It is this last point that is effectively addressed by the ZO Medical range, to heal chronic skin issues and address the root cause of the problem, rather than merely the symptoms. To find out more about how the ZO Medical Therapeutic solutions can help you, call Dr. Anil on 0208 742 2204 and book a consultation for a skin assessment. Medik8 is an award-winning, global skincare brand, sold only by skincare experts. Medik8 products are developed and formulated by a team of biochemists and pharmacologists in an ISO audited, specially-built research facility located in London, UK. Medik8 products are specifically formulated to target: skin-ageing, acne, redness, pigmentation and dryness. 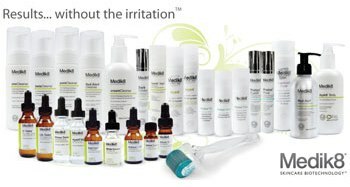 Medik8 range consists of, Vitamin C, Retinol, AHAs,pro-collagen hydrators ,Growth Factors Sunscreens. 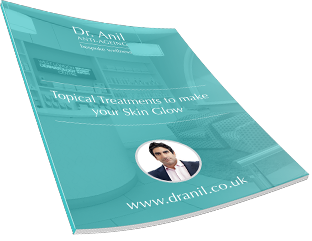 To find out more about how the Medik8 range can help you, call Dr. Anil on 0208 742 2204 and book a consultation for a skin assessment. 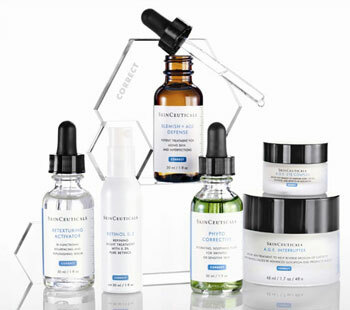 Skinceuticals is very effective for skin health, which is acheived through an effective skincare regime. This regime should consist of Prevention, Protection and Correction. The Skinceuticals product range and educational philosophy is based around these principles. The advanced line of skincare products are designed to protect healthy skin, prevent future problems and correct previous damage.